Nearly everyone has given or received a gift card. After all, the old saying is true: Gift cards are always the right size and the right color. Some retailers offer rewards for purchasing gift cards. This is especially true during the holidays. Restaurants may offer a bonus $25 gift card for purchasing $100 worth of gift cards. Be on the lookout for gift card bonuses at your favorite stores. And remember: you don’t have to give a gift card away as a gift. It is totally fine to use it yourself. If you received a gift card from a store that you don’t shop at, consider selling it. 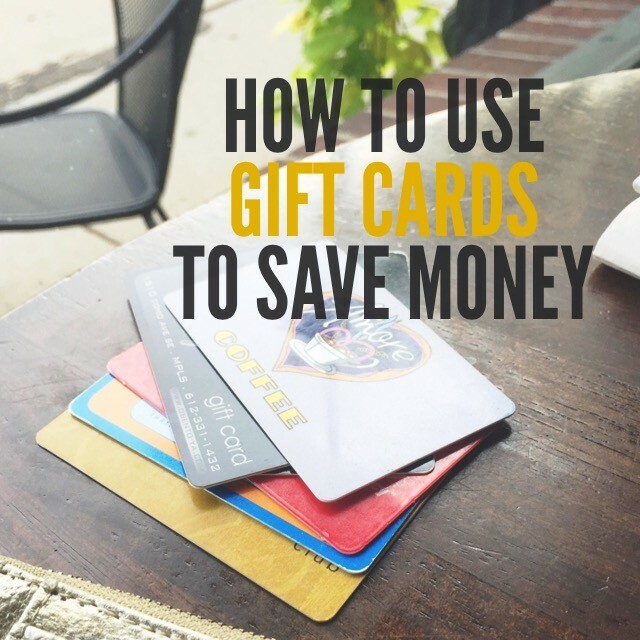 Websites like GiftCards.com, GiftCardGranny.com, and CardCash.com make it easy to sell unwanted gift cards. Get more tips for selling stuff you no longer want or need. If you receive a gift card that you don’t want, consider passing it along to someone else. You can also use unwanted gift cards to purchase items for someone else. Did you receive a movie theater gift card, but you prefer Netflix? Give it to your niece for her birthday. Did you receive a gift card to a clothing store that isn’t your style? Purchase clothing items for a friend or family member. Assuming you have purchased a gift card for less than face value, you can save even more money by using coupons and discount codes. A rule of thumb: For every online purchase, search for a coupon code. Remember: Before purchasing a discount gift card, make sure you will use it. Millions of dollars worth of gift card credit go unused every year. Don’t make the same mistake. Only purchase gift cards for restaurants and retailers that you already patronize. Did you enjoy this post? Be sure to share it or pin it for later. Christmas/New Years is my favorite for this very reason! I love taking advantage of all the deals at the different restaurants! (Punch Pizza gives you a free pizza on the spot, captivates my heart every time ;-)) and my dad buys all his gift cards through the discount sites and even does quite a bit of his normal shopping that way… Pretty dang impressive!